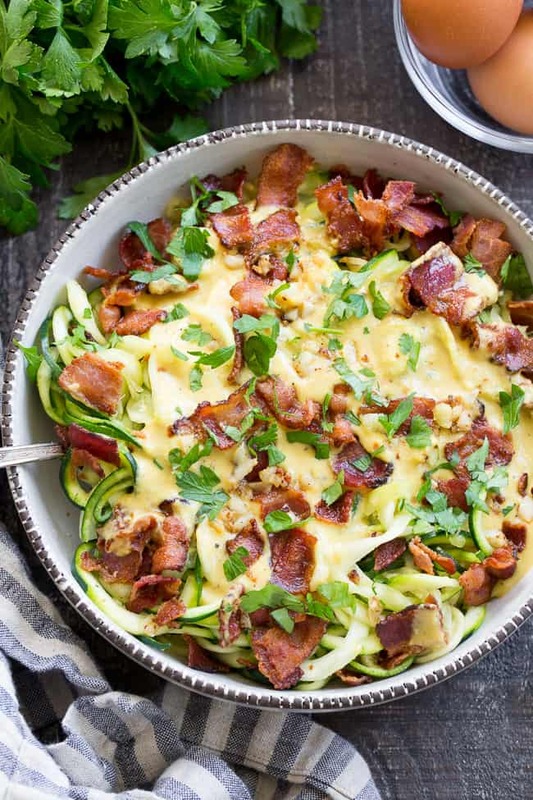 This paleo zucchini carbonara has a savory creamy sauce that you won’t believe is dairy free! 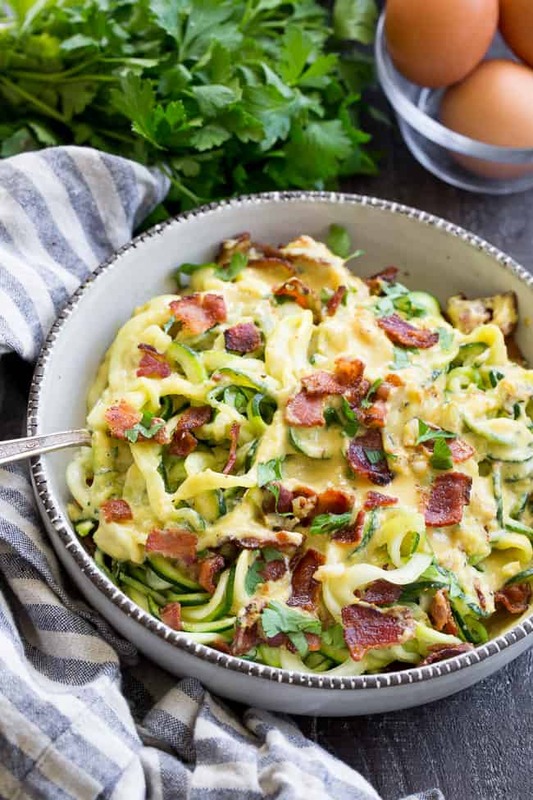 Tossed with crisp bacon and low carb zucchini pasta, it’s a healthy meal you’ll want to make over and over again. Paleo, Whole30 compliant, low carb, dairy free. Spaghetti carbonara used to be my absolute favorite – one of those dishes that I remember eating for the first time and then NEEDING to make on my own. I mean, let’s just say I was a bacon and egg fan long before I knew what paleo was – so bacon, eggs, cheese, and pasta just seemed like the ultimate combo and tasting it for the first time did not disappoint! Now of course since doing my first Whole30 and then eating 95% paleo, all that dairy is out of the question. And yup, the pasta too! So what’s a Paleo gal to do to get the carbonara fix? Well, for a long time I did nothing because I couldn’t imagine trying to replicate one of my favorite pasta dishes without major disappointment. I needed to shift my mindset away from replacing my beloved spaghetti carbonara and over to making something that’s similar (not a “copycat”) and delicious in its own right. Still, it took me quite a while to actually attempt it, due to all those tough decisions I needed to make! Decision 1 – the “pasta.” Since I wanted something really neutral, it seemed like zucchini was the way to go. I like that you can make thicker noodles for the sauce to cling to, since the sauce is really supposed to be the star. Decision 2 – the sauce, of course! Now with paleo, bacon and eggs are a-okay, but I needed to figure out how to replace the creamy, cheesiness that the parmesan provides. Again – not a copycat, but something 100% clean and super tasty. 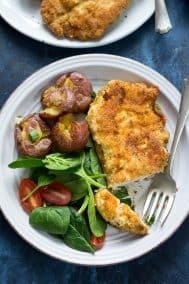 I knew coconut cream had to be incorporated in there along with nutritional yeast – my go-to ingredient when I want to add “cheesy” flavor to my recipes. 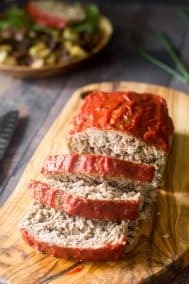 It’s Whole30 compliant and paleo, and you can add as much or as little as you want to suit your tastes. Decision 3 – how to thicken the sauce?! Traditionally carbonara isn’t cooked, but rather tossed in a hot bowl/with hot pasta. Since my sauce needed to be thickened, I decided to cook it over low heat on the stovetop for just about a minute – not long enough to scramble the eggs, but long enough to thicken the sauce to a great consistency. Even though you’ll be “sweating” the zucchini before beginning to remove lots of water, the zucchini will still contain enough water to thin down the sauce after tossing, so the thicker the better, in my opinion! For this reason, I added a bit of tapioca to the sauce for that extra creamy thickness. I was SO happy with the result! 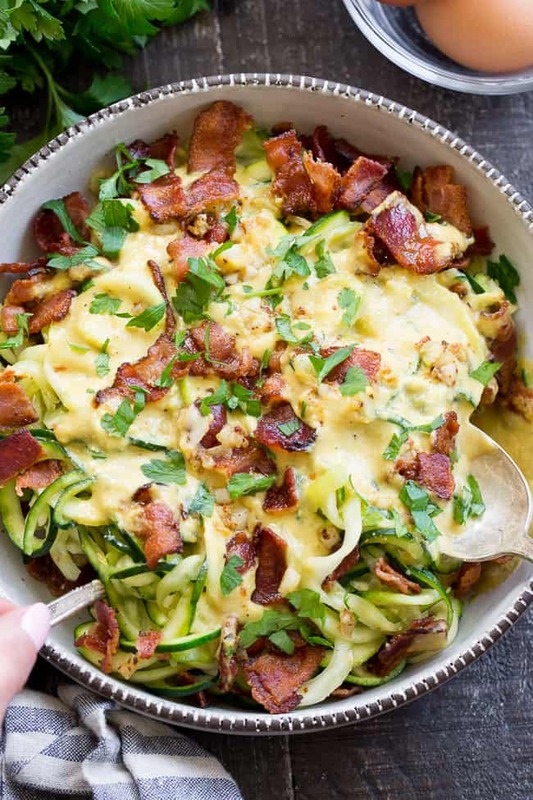 Hot zucchini noodles tossed with loaded of bacon, garlic, and a creamy “cheesy” sauce. You can’t go wrong here! I hope you’re ready to get started – let’s cook! 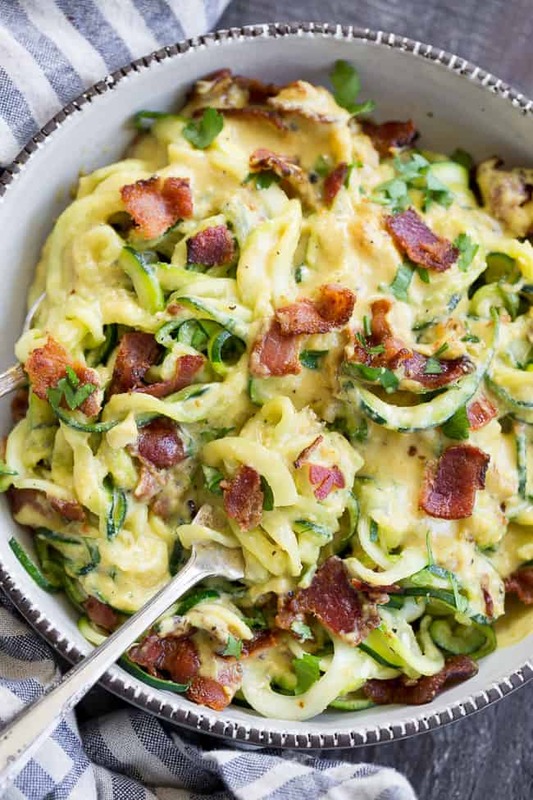 This paleo zucchini carbonara has a savory creamy sauce that you won't believe is dairy free! 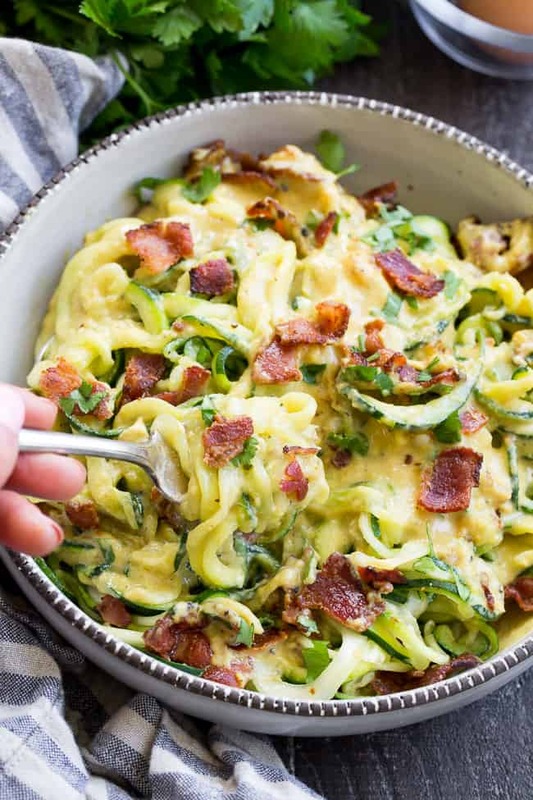 Tossed with crisp bacon and low carb zucchini pasta, it's a healthy meal you'll want to make over and over again. Paleo, Whole30 compliant, low carb, dairy free. Place zoodles in a collander over a large bowl. Sprinkle the 1 tsp salt all over evenly and allow it to sit for 30 minutes to allow the salt to draw out water. After 30 minutes, use paper towels to squeeze the zucchini thoroughly to remove water. Much of the salt will come out with the water, though if you’re sensitive to saltiness, you can rinse the zoodles prior to squeezing water out. Once zoodles are squeezed, set them on paper towels while you prepare the sauce. Whisk together the eggs, nutritional yeast, arrowroot, salt and pepper in a med bowl. Pour coconut cream into a small saucepan set heat to medium low. 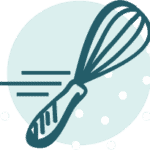 Whisk coconut cream until melted, then whisk in the egg mixture. Continue to whisk for about 45 seconds or until sauce just begins to thicken, then immediately remove from heat (or the eggs will scramble!) Set aside while you prepare the bacon and zoodles. Heat a large heavy skillet over med-high heat, then add bacon pieces. Cook until crisp, stirring to evenly brown. Remove with slotted spoon to a paper towel lined bowl. Reserve at least 1 Tbsp bacon fat and turn heat to low. You might have to wait a minute for your skillet to cool down. Add minced garlic and cook until softened, careful not to burn it, about 45 seconds. Add in the zoodles and toss to coat with the fat and garlic, then raise heat to medium. I like to cook my zoodles until just heated through, but feel free to sauté them longer if you prefer them soft. Once done, transfer zoodles and garlic to a serving bowl and toss with the bacon and sauce. Garnish with chopped parsley and crushed red pepper if desired. Enjoy! 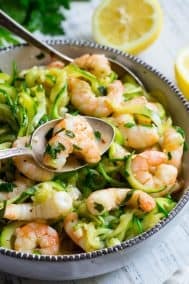 Want More Paleo and Whole30 Zucchini Recipes? Try one of These! How do you spiralize zucchini? sounds good!!! going to try this! and doesn’t seem to take much time to prepare! thanks for your recipes! have tried several, and we love them! It’s great and adds the perfect amount of flavor! 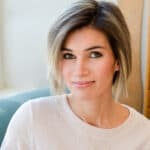 This sounds like it could be a really cool breakfast option for those of us doing Whole30! 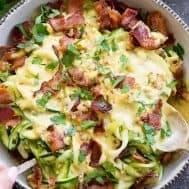 If I was to spiralize the zucchini and cook the bacon and sauce the night before do you think the sauce would reheat okay if I just tossed it all in the skillet in the morning? Yes – I think that would work just fine! Have you made this ahead of time and reheated it or heated up leftovers? I’m wondering how the eggs will heat up in the microwave. Thanks! The sauce is not as creamy after being heated up as leftovers, however the flavor is still good. I do recommend eating it right away though for best taste! Thanks for getting back to me so quickly! 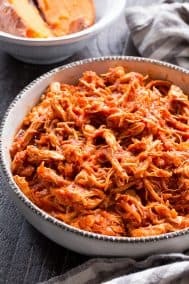 I am looking for some new recipes for the week to be able to have leftovers. 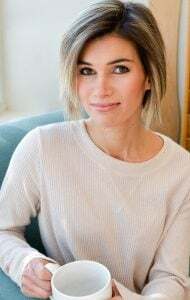 Busy mom life – you know what I mean. ? Did you do a post on what food you packed for traveling to Paleo FX? What crossbody bag did you wear? I loved the color. Would an egg substitute, like flax egg, work here? We have egg allergies in the house but would love to try this. That photograph made me hungry. It looks super duper yummy. Carbonara was always my guilty pleasure before Paleo. I am putting this on my meal plan for this week!!!! 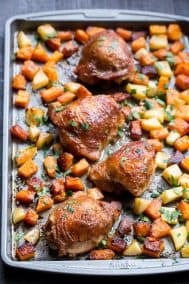 I am making this right now and am pregnant. I’m realizing that the eggs never are actually cooked all the way. Am I reading something wrong? Sounds yummy! Are the nutritional facts for the entire recipe? My sauce is more of oa light brown than yellow….help!!! Sounds like it’s chunky maybe because the eggs started to scramble? Not sure! In the article you mention you added tapioca for more creaminess but you don’t have it listed as an ingredient. Also I’ve been to two different stores looking for arrowroot flour and haven’t found it. Can I substitute cornstarch for it? Hi! I’d probably use maybe 1/3 cup? 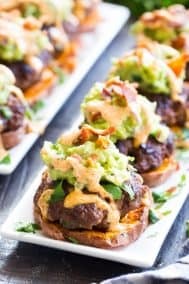 I was thinking about trying this for a group that is some paleo, some vegetarian. Any ideas on something that would add to the dish that I can sub for bacon for the vegetarian folks? Hi! You can probably add some sauteed eggplant maybe? Or even roasted peppers. Or both! I made this last night….and this is definitely going into the summer rotation! We ate all of it in one sitting it was so good! I can’t wait to try other recipes from this blog. Made it tonight. It was soooooo good!!! Thanks for the recipe is there another flour I can use. I don’t have arrowroot and live in a very remote location. This recipe is absolutely delicious! You could try tapioca flour, I’m sure it would work the same. I always use tapioca starch in place of arrowroot, as it’s easier to find at my Kroger down the street. Turned out great! I’ll never get that hour and half back! I followed this recipe exactly. I don’t like it at all. However, it’s the first thing that I’ve made from your website that I don’t like. 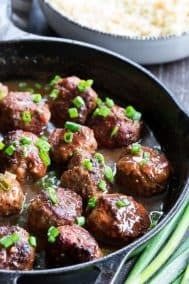 My family’s favorite so far is the Salisbury meatballs with mushroom gravy. Yum! I made this tonight, as it looked like a special Friday-night-type of meal. The kids wouldn’t be around, so no sharing…which was great because this was awesome! The sauce was so delicious my husband drank what was left in both our bowls. He is a cheese lover through and through, and his stamp of approval seals the deal on this dish! I used 5 zucchini (regular sized), and could have used 6. Absolutely delicious! And guilt-free! Thank you!